I had a fabulous time at Lunar Festival 2018. 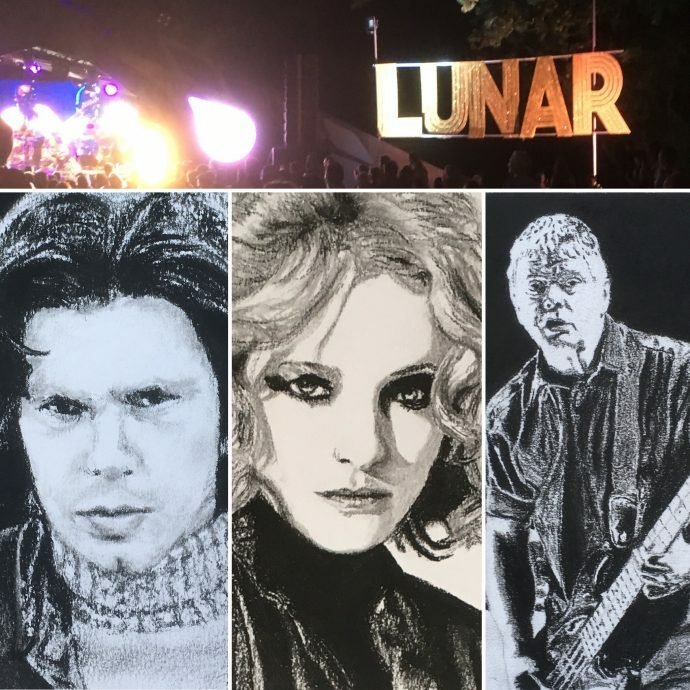 My limited edition Rock Icon art prints were for sale in the Merch Tent and I created three live charcoal portraits over the weekend. Nick Drake on the Friday, Alison Goldfrapp on the Saturday and Jean-Jacques Burnel of the Stranglers on the Sunday.